With a touch of Scandinavia. The Songbird is a new creation from Kay Bojesen that joins the family of wooden animals created by the artist. The Songbirds were designed in the 1950´s but were never put into production at the time. Now in 2012 these six colourful personalities are launched and they will definitely find friends among design lovers all over the world. 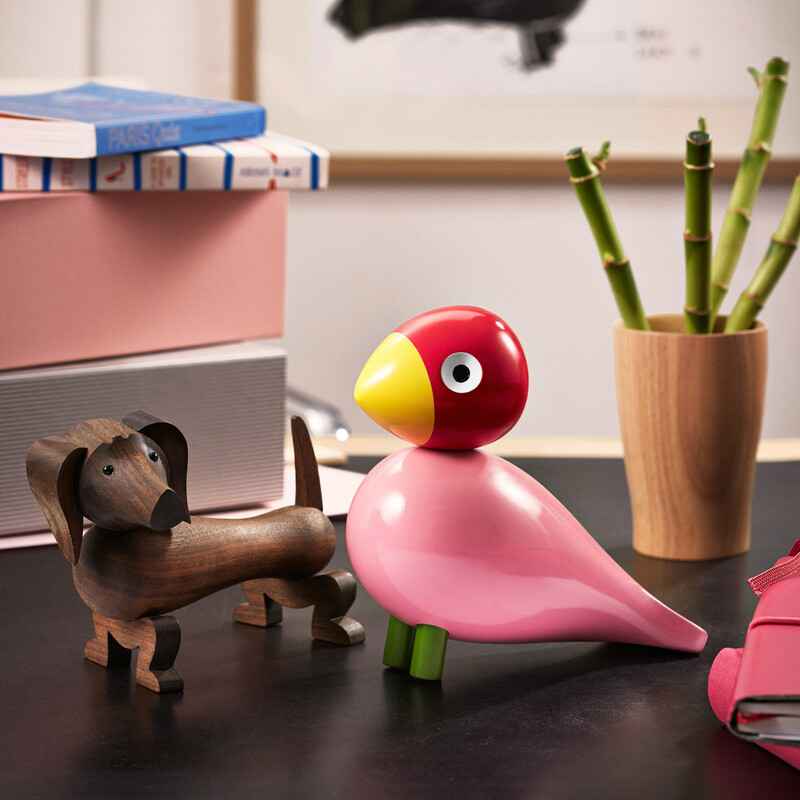 The Songbirds are made of solid beech and hand-painted, and they are named after the designer and his family: Ruth, Pop, Otto, Kay, Peter and Sunshine. The Bojesen’s patio at the family home Bella Vista near Bellevue, north of Copenhagen, was full of flowers, wicker furniture – and birds. There can be no doubt that this is the source of Kay Bojesen’s inspiration for the carefree songbird that he designed in the 1950s and hand-painted in cheerful colours. All six birds have a clean, modern expression, stripped of superfluous details. The birds are so lifelike that it is easy to imagine them breaking out in song as the sun rises. Kay is named after the master himself, a huge fan of the blue colour. Kay Bojesen was always impeccably dressed in either a blue suit, shirt and tie or his white smock. A gentleman with a sense for underplayed, discreet elegance! The birds are produced by Rosendahl, Denmark. Friday, 24 June 2016 Built the lodge over the crack in the landscape.